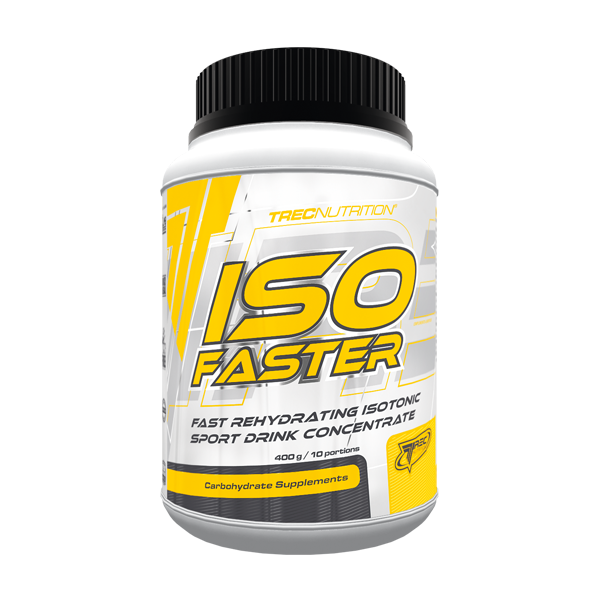 ISOFASTER is a composition of energetic ingredients and minerals was designed to offer your body with instant and efficient hydration. Carbohydrate-electrolyte solution enhance the absorption of water and contribute to the to the maintenance of endurance performance during long and demanding workouts. Recommended daily portion is 120 g.
Dissolve single serving of the product ‒ 40 g (5 scoops) in 500 ml of water. Take 3 servings daily, preferably before, during and after workout. WARNINGS: Do not exceed the recommended daily dose. Do not use the product as a substitute for a varied diet. Children, pregnant or nursing woman must not take the product. Varied and balanced diet and a healthy lifestyle are important. The product may contain allergens such as: milk, soy, wheat, barley, oats, eggs, peanuts and nuts. INGREDIENTS: carbohydrates complex [maltodextrin; saccharose; fructose]; acidity regulator – citric acid; mineral complex [chlorine (sodium chloride); sodium (sodium chloride); potassium (potassium carbonate); calcium (calcium phosphate); magnesium (magnesium carbonate)]; aromas; colour – beta-carotene; vit. C (L-ascorbic acid).